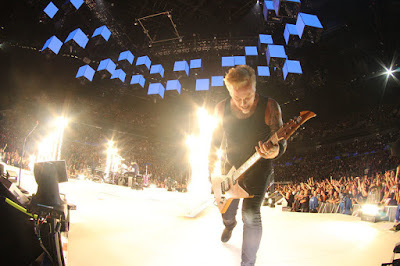 Metallica performed their 2016 single, “Moth Into Flame”, during opening night of their European tour at the Royal Arena in Copenhagen, Denmark on September 2, and the band are sharing professional footage from the event. The band’s 18-song set delivered a few surprises for fans, including tour rarities “The Day That Never Comes” from 2008’s “Death Magnetic”, “Dream No More” from “Hardwired…To Self-Destruct”, and a cover of Budgie’s “Breadfan”, as well as the first appearance of 1991’s “Through The Never” in four years. The Copenhagen stop was a rescheduled show from February after frontman James Hetfield was put on vocal rest by doctor’s due to an illness during the group’s planned 4-night stand to open the new venue in drummer Lars Ulrich’s homeland. 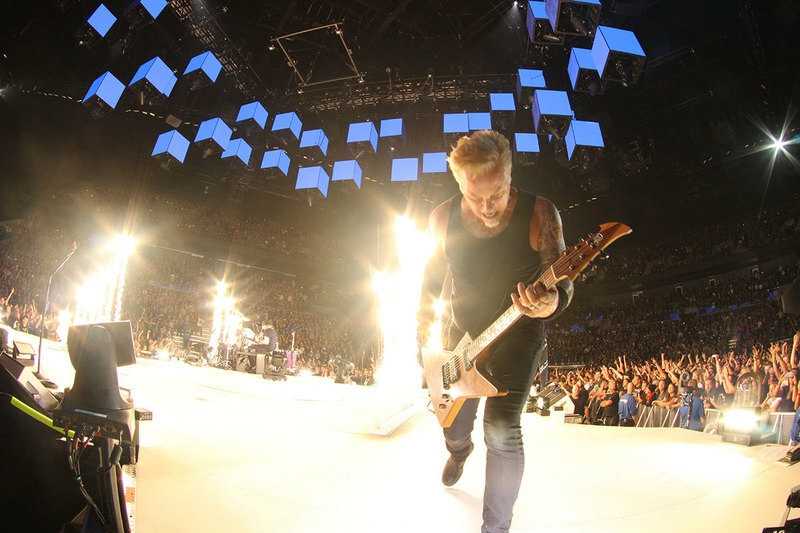 Fresh from a break following a North American tour finale in Edmonton, AB on August 16 – which was streamed live by hennemusic and can be seen in its entirety here – Metallica’s extensive fall tour of Europe will wrap up with two dates in Antwerp, Belgium in early November before resuming with a spring 2018 leg that will open in Lisbon, Portugal on February 1.